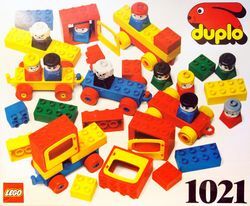 1021 DUPLO Basic Set is a Dacta set that was released in 1986. It contains 94 pieces. Facts about "1021 Basic Vehicles"